21st Century Power Solutions, LLC specializes in Solar (PV) Powered Systems for commercial, government and residential applications. 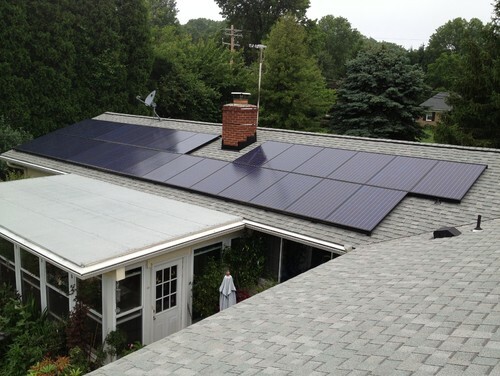 Their approach brings continuity to your Maryland solar power project and includes system design, installation and interconnection! 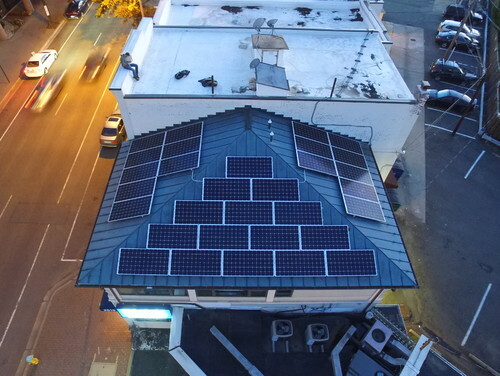 As solar installers, MD-based 21st Century Power Solutions brings substantial expertise to your project along with a desire to educate their customers on the community benefits and – on a larger scale – the global importance of solar power. They are a team that believes in the importance of using renewable energy sources and can demonstrate the benefits that are delivered from the installation of solar panels. They provide their customers with ongoing, educated support – from design through installation. Their success comes through their ability to maximize energy production by using the very highest quality products available in the market. At 21st Century Power Solutions they offer complete customer support and guarantee that their systems are installed, operate and perform to your expectations. Additionally, at 21st Century Power Solutions we understand the financial investment involved with solar power installation. Our professionals will guide you through the process to obtain all available federal, state and local grants and incentives. "You’ll never look at time the same way again with this typographical timepiece and functional work of art by design duo Marco Biegert and Andreas Funk. Rather than the typical hands and numbers, QlockTwo’s apparently random matrix of 110 letters conceals all the words necessary to describe the time in five-minute intervals. Like a sophisticated work of modern art, the sleek black panel lights up with ever-changing phrases as time passes. Its impeccably designed details also include corner LEDs that illuminate to show the minutes between five-minute intervals, and a built-in sensor that automatically adjusts the display to compensate for changing lighting conditions. Easy to operate and easy to read, QlockTwo features 110V energy efficient LED technology. It has won more than 20 international design awards and is made in Germany to the most exacting standards. It’s a sharp statement piece for a modern kitchen, contemporary living room, or creative office." It can be yours for $1490 by clicking the image above. Thanks UncommonGoods! With the ability to control over 270,000 devices, this hub connects to wifi and has a free app that turns your smart phone into a remote control. It is quite possibly the best remote control out there. For sale on Amazon for $298. Click the image to buy! It's not Christmas without nostalgia, and this is probably the most nostagic tech gift out there. It's like the original Nintendo, only better. Comes with 30 pre-loaded games like Super Mario, Donkey Kong, Pac Man and so much more. Best price I could find on Amazon is $215.99. It is limited release so get yours while they last! And I take back what I said last week- NEXT week is tech pet gifts! AWG does not endorse any of these products and is not responsible for their function or performance. Casaplex is a local business that believes in "Enhancing life, work, and play through the innovative use of technology." Their mission at Casaplex is timeless and constantly evolving alongside technology: They want to eliminate the confusion that the fast paced world of technology has brought along with it. If you want to learn more about Casaplex, their award-winning team of professional designers and installers, or the work that they've done, visit www.casaplex.com. 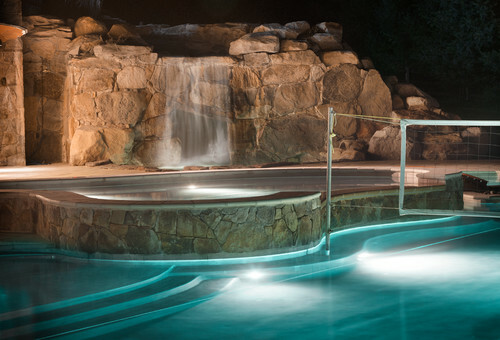 The image above is of a waterfall and grotto at a pool house that Casaplex animated. It features two custom pools, custom lighting, a fully-featured kitchen, and distributed media from the main house. It has a grotto with a controllable waterfall that you swim up to through lit tunnel. One of the technologies we predict you will be seeing (and using) much more of are devices that help you to control and track the amount of energy being used in your home or business. SiteSage for Homes is one such device which installs directly inside the electricity panel of your house. It is able to monitor every circuit in your home in real-time, offers suggestions on how to be more efficient with what you have and utilize renewable energies, has alerts about appliances, allows you to track your carbon footprint in comparison with others, and monitors solar PV if you have them installed. With this technology, you are able to locate problem areas and potentially decrease your home energy consumption by large quantities. Everyone likes to save money, so this is one investment (at $499) that will definitely pay itself off in a relatively short amount of time. Last week we discussed the Nest Thermostat, which prides itself on its energy saving abilities. But this week we are taking a look at Smart Home technology and whether or not all these gadgets really are saving us money, helping the environment, or worth installing at all. Parks Associates found that while 70% of Americans claim that their Smart Home gadgets are saving them money on electricity, 83% of those households with Broadband have no idea how much they are already paying for electricity. Most people who purchase smart home gadgets are doing it out of curiosity and genuine interest in the technology, but very few are asking whether the gadget will pay itself off over a period of time or if the gadget will be difficult to sync with everything else in the house. The answer is, to date, that most smart home gadgets do not work as effortlessly as we would like. You can click HERE to read more on this topic. Furthermore, the one thing we seldom hear about is the issue of e-waste. If you really are concerned about energy savings because of the effect on the environment, check out this article by Wired to get an idea of what happens to all those gadgets once they've run their course. The article is a little dated but I can assure you the predictions are on par and the effects on our planet are not good. Award-winning LEED firm in Annapolis, MD, specializing in Waterfront, green and historic architecture for over 25 years. Their design process allows the architect to compose in three dimensions by being able to quickly draw perspective sketches, resulting in more artful compositions and enabling the home owner to visualize their design options. Extensive experience with Critical Area rules and regulations enables Hansen Architects to push the permitting envelope to maximize your property's fullest design potential. Brennan + Company Architects promote elegant, thoughtful, historic and sustainable design. They are a 28-year-old, 3 person open-studio, collaborative firm housed in an historic 1840 sustainably renovated building on Main Street in Ellicott City, Maryland. They specialize in beautiful and smart community buildings and residences, both new and renovated and promote building preservation. LED lamps may be costly, but they'll save you money in the long run. An LED replacement for a traditional 60-watt incandescent bulb will use only 10 to 13 watts, about 20 percent of the energy used by traditional incandescent bulbs. LEDs also last 25 times longer. Spider plant (Chlorophytum comosum) The graceful spider plant achieved fame in the early 1980s when NASA research proved the spider plant could remove harmful indoor air pollutants. The findings were key to solving the problem of cleansing air during deep space explorations. Spidey is an American hero! And relatively easy to care for, too. What is sustainability, and what would it look like in your own home? There are a lot of things you can do to reduce your carbon footprint, like going vegetarian or driving an electric car, but chances are your house maybe be having a larger impact on the environment than you'd like. Almost half of the energy your home consumes comes from heating and air conditioning. Unless your house is completely coated in solar panels, more than half of the electricity you're using is probably generated from coal, gas and oil. "Green building" is an effort to curb the environmental toll of inefficient homes, and it's taking hold in the construction sector. The Huffington Post reached out to nine architects to talk about their stunning projects that are not only sustainable, but beautiful too. With shabby-chic design back in high demand, there’s no shortage of mass-produced decor disguised as antiques. But the genuine article — the old form reclaimed with a new function — is much harder to come by. With a nod to the Depression-era adage, “Waste not, want not,” these are the stories of three artistic visionaries giving new life to items once thought to be years past their prime. General Manager James Battaglia is one of five men running Baltimore’s Sandtown Millworks, hand-building furniture made almost entirely from the discarded innards of the city’s rowhouses. “As a company, we believe incredibly strongly that beautiful, handcrafted pieces can be created from materials that would otherwise end up in a landfill,” he says. You’ve probably already been advised to make the typical green improvements — LED lighting, solar panels, double-paned windows, weather-stripping–or have invested in a few energy-efficient options. But your budget only extends so far and you can only do so much without refinancing your mortgage. However, there are a wide variety of more affordable green options many homeowners don’t know about. So consider some of these sustainable options for your home that help the environment without breaking the bank. Instead of replacing items in your house with the latest and greatest, try repairing or updating them instead. While it may seem smart to invest in new technologies, it also means throwing away old appliances, TVs, and furniture in landfills, which hurts the environment. By repairing or upgrading your old items, you cut down on what goes into landfills while still keeping accessories relevant to your home design. All homeowners are encouraged to recycle wherever possible, whether it’s the packaging that their food comes in, the items they’re thinking about throwing away or the products in their gardens. There is always plenty of ‘rubbish’ kicking around the home, either inside or out, but it’s not always easy to convince people to put that ‘rubbish’ into the correct recycling bins or piles so that they can be put to good use in another form. The garden is one particular example. If you have trees you’ll undoubtedly spend time dealing with countless leaves that fall every autumn and the easy solution is to rake them up, put them in a bin bag and leave it for the collectors to come. An alternative - and a green, eco-friendly one for that matter - is to invest in some kind of storage, or even a compost bin, the sort you might find at your local DIY store, some supermarkets or even on sites such as Garden Buildings Direct or B&Q who will deliver them to you if you’re pushed for time; that will allow you to save those leaves and convert them into compost that can be used to improve the quality of your soil and (hopefully) produce beautiful plants or vegetables. What Does Green Home Design Actually Cost? In home improvement, the focus is on green home design and upgrading homes to make them greener. By increasing sustainability, they last longer, impact the environment less and decrease bills for homeowners. However, homeowners sometimes jump too quickly by looking at major projects, which cost in the thousands of dollars. Instead, consider less expensive green home design projects. 1. Home energy audits: One of the first steps toward energy efficiency is finding the leaks. Rather than attacking from unknown angles, it’s more effective to get a home energy auditor out. A home energy audit costs about $490 to $720, depending on the square footage of the home and the professional. When Lisa Marie Ghezzi describes the living shoreline that was installed in 2009 on the waterfront property that she owns with her husband, Keith, she fondly refers to it as an important structure that supports the ecosystem and serves as habitat for a vast array of wildlife. The completed project represents an enduring symbol of the couple’s decision to beautify the landscape of their home. The property, which is located in Easton, consists of 1,000 linear feet of shoreline, three coves, and is a haven for wildlife. An animal lover’s paradise, it’s not uncommon to see rabbits darting to and fro, red foxes roaming the fields, and turtles basking in the sun. The Ghezzi’s property is also a veritable sanctuary for several species of birds, including ducks and osprey as well as smaller birds, such as American goldfinches and Eastern bluebirds. Who needs wiring when you have wind? In a new book, "150 Best Sustainable House Ideas" (Harper Design: $29.99), editor and architect Francesc Zamora Mola reveals how sustainable architectural innovations can reduce damage to the planet. By showcasing houses that incorporate green technology such as solar panels and trombe walls that absorb heat, Mr. Zamora Mola wanted to give people ideas for ways to make their own homes more environmentally friendly. He includes 50 architectural projects with a total of 150 "ideas" that reduce carbon emissions by using renewable resources. "It might cost you more at first," he says, "but it's less expensive in the long run." Is Green Design Ready to Take Root in Neighborhoods? If you follow the big conversations, you get the distinct feeling green design is poised to scale up. You hear it at places such as GreenBuild, the U.S. Green Building Council's conference, and at the UnConference held by the International Living Future Institute. You see it if you follow Alex Wilson's work at the Resilient Design Institute. The green design community is repeatedly saying it's ready to move from single buildings to community scale, "resilient" development. Yet, when Rob Bennett, leader of EcoDistricts, polled a roomful of some of the deepest green design professionals in North America last week, he found just a quarter of the audience was working on a district project. Only about 10 percent of them have seen these projects actually get underway. Last week, the South River Federation partnered with the National Aquarium to bring four different school volunteer groups over the course of three days to our Camp Woodlands living shoreline project. The schools involved in the planting efforts were Western School of Technology and Environmental Science, Gateway School, St. Andrew’s United Methodist Day School, and Westport Academy. Now that construction on the restoration project has been completed and the weather has gotten warmer, it was time to plant the restoration site with marsh vegetation. Two of the schools volunteering at the planning were a part of the National Aquarium’s Wetland Nursery Program. Over the course of the school year, students raised native wetland plants as well as native fish. The students were then able to plant the smooth cordgrass they grew and release the rockfish they had raised. Your home is your sanctuary. A sacred space to unwind from the day and enjoy family and friends, separate from the daily grind. But you can also make it fun, green and functional. By blending nature and environmentally friendly products, you can create a home ecosystem that allows you to enjoy the best of green living. To ensure that you are getting as much as possible from your new and improved green lifestyle, see if you can incorporate some of these habits. The air you breathe is as important as the food you eat. While lots of exhaust and pollution exists outside, it can equally, if not more so, build up in your home. Incorporate plants such as boston fern, golden pathos, bamboo palm, rubber plant, dendrobium orchids, peace lily, english ivy, and wax begonia to support in filtering the air naturally. Green, In All Shapes and Sizes In honor of Earth Day, AOL Real Estate is revisiting some of the most eye-popping green homes around the globe. Just because you want to save the planet doesn't mean you have to live in a mud shack. (But how 'bout a coke bottle cottage?) From dazzling modern prefab homes, to sprawling eco-mansions, we explore the whole gamut of green living. Click on the above image to see some of the world's most intriguing green homes.